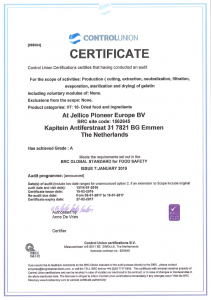 JELLICE Pioneer Europe BV produces pork skin gelatin Type A according to the highest quality standards. 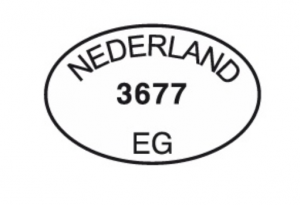 The facility in Emmen is BRC certified (Grade A). Every order is tailor made to customer specification and is only released after quality control on the agreed parameters has been finalized. Every batch of gelatin is fully traceable from the raw material throughout the whole process up to the final product.